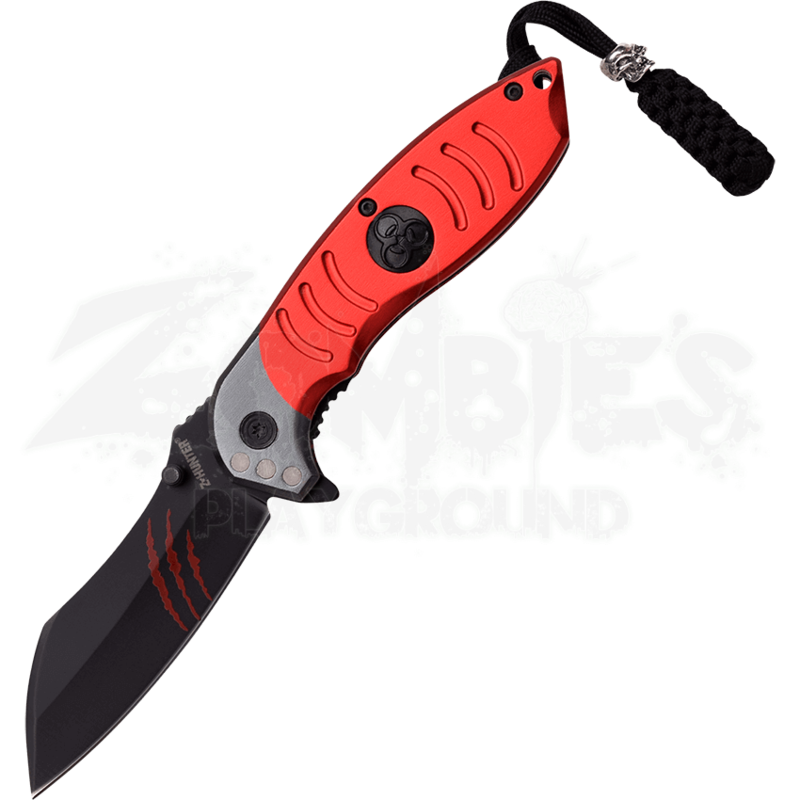 Featuring a broad 3.5 inch blade and an eye catching red aluminum grip, the Red Zombie Hunter Spring Assisted Knife is an extraordinary addition to the zombie preparedness gear of those seeking to survive an outbreak. Allowing for its quick access and use, this knife has a pocket clip and the blade opens with ease due to a spring mechanism. The blade is crafted from stainless steel and features a sleek black finish with three streaks of red zombie blood. 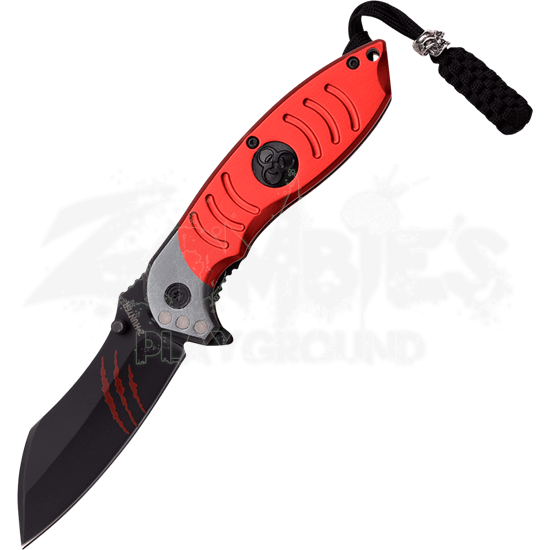 Furthering the attractive appearance of this pocket knife, the red handle features a black biohazard symbol accent upon its center. Ensuring a lightweight and comfortable design, the handle is crafted from aluminum. Be ready in the case of a zombie apocalypse with the Red Zombie Hunter Spring Assisted Knife.